Canadian and world cinema has lost a true giant, with the death yesterday of film pioneer and former NFB colleague Roman Kroitor. Born on December 12, 1926, in Yorkton, Saskatchewan, Kroitor made enormous contributions to filmmaking during his tenure at the NFB in the 1950s and 1960s, developing the IMAX giant-screen format at the NFB’s Montreal studio. “Roman Kroitor was a remarkable man who has made out-sized contributions to cinema as a filmmaker, producer and creative and technical innovator. He was a legend whose relentless pace of inventiveness continued throughout a long and productive career. His death is a terrific loss to the NFB, Canada and the world of cinema,” said NFB head Tom Perlmutter. Kroitor was a leading light in direct cinema and the new documentary approaches that would put the NFB and Canada at the forefront of a revolution in audiovisual storytelling, with works such as Paul Tomkowicz: Street-railway Switchman and the Candid Eye series. His creative partnerships with Wolf Koenig and Colin Low resulted in some of the NFB’s most acclaimed documentaries of all time, including Glenn Gould – On & Off the Record, Lonely Boy, Stravinsky and Universe. 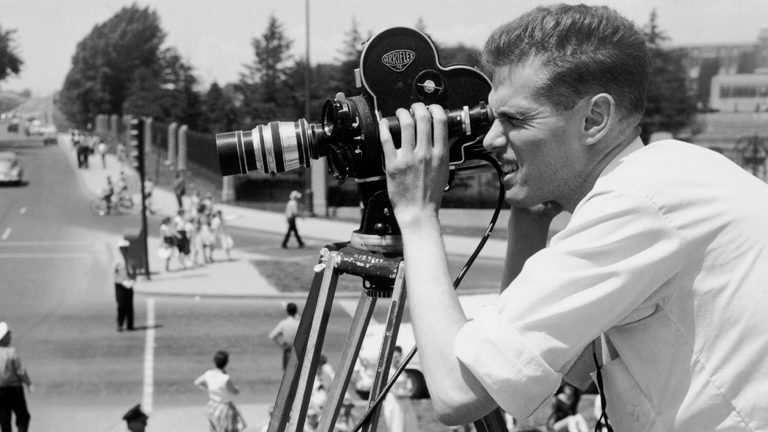 As a producer, Kroitor was involved in the development of fiction films at the NFB, starting with Don Owen’s landmark 1964 feature Nobody Waved Goodbye. Kroitor also played a role in the creation of the Star Wars concept “The Force.” Director George Lucas was an admirer of the work of NFB experimental filmmaker Arthur Lipsett and has credited a conversation between Kroitor and artificial intelligence pioneer Warren S. McCulloch, excerpted in Lipsett’s 1963 collage film 21-87, as part of his inspiration. It was his collaboration on the groundbreaking multi-screen project In the Labyrinth for Expo 67 in Montreal that would set the stage for a new chapter in Kroitor’s life―as well as a new era in cinema. Co-directed by Kroitor with Colin Low and Hugh O’Connor, and co-produced with Tom Daly, In the Labyrinth was an immersive cinema experience that caused a sensation at the Montreal world’s fair, during Canada’s centennial year. That same year, Kroitor chose to leave the NFB to further develop the process he helped pioneer with In the Labyrinth in the private sector, co-founding Multi-Screen Corporation. But it was a single-projector giant-screen system that held the most promise for Roman. Co-inventing the IMAX film system and forming IMAX Corporation, Kroitor and his team set about redefining the possibilities of cinema. The NFB remained very much a part of that creative development, with the NFB’s Montreal HQ serving as the birthplace for the new medium. The very first IMAX film in 1970, Tiger Child, made for the Osaka world’s fair, was directed by Donald Brittain. In the years to come, the NFB worked with Kroitor and Imax on such breakthroughs as the first IMAX 3D film, Transitions, and first IMAX HD film, Momentum, both directed for the NFB by Colin Low and Tony Ianzelo. 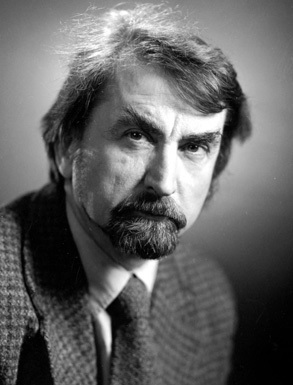 Kroitor returned to the NFB for several years beginning in the mid-1970s to head dramatic productions, producing such acclaimed works as Giles Walker’s Bravery in the Field and John N. Smith’s First Winter. Most recently, the NFB and Kroitor were again creative partners, as the NFB animation studio, led by animator Munro Ferguson, developed new creative applications for IMAX Corporation’s hand-drawn 3D stereoscopic animation technique, SANDDE. Roman is survived by his wife Janet and children Paul, Tanya, Lesia, Stephanie and Yvanna. * Header image courtesy of Lois Siegel. All rights reserved.